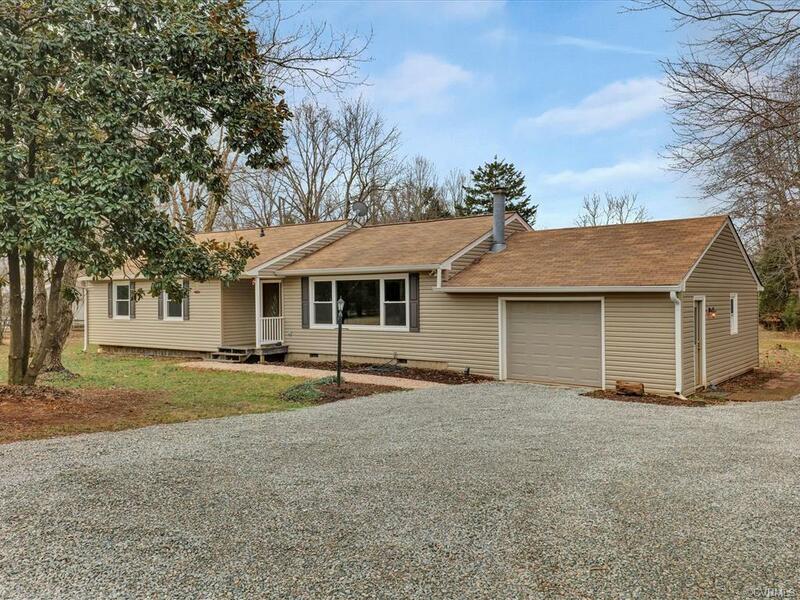 Don't miss this, Beautiful 3 Bedroom Ranch Home on 10 Acres located in Central Powhatan. This home is move-in ready complete with galley kitchen, large family room with cathedral ceiling and fireplace, dining area overlooking your large rear deck, master bedroom with bath along with two additional bedrooms. An attached 20 x 25 garage keeps you out of the rain with plenty of room for all the toys. Situated on 10 Acres, this home offers loads of privacy with plenty of room for horses or your favorite animals. A two story barn along with plenty of outside storage makes it a perfect country home. COMCAST Internet An additional 16.5 acre parcel is also available for sale, see attached plat. Directions: Rt. 60 W - T/L At Post Office Light Onto Rt. 13 - Follow 3-4 Miles T/L On Rt. 609 - Follow 1 Mile T/L On Worsham Rd. - House Is 1 Mile Down On The Right.